When the Great White Throne was introduced, heaven and earth fled from its presence (Rev 20:11). After Jesus Christ completes His task of judgment while seated on the Great White Throne, heaven and earth passed away (Rev 21:1). While the apostle John was not on earth when it passed away, he does not elaborate on how this passing took place; but, the apostles note that Jesus makes a reference to this event (Matt 24:35; Mark 13:31; Luke 16:17; 21:33). The apostle Peter describes the passing of heaven and earth as occurring "with a roar and the elements will be destroyed with intense heat, and the earth and its works will be burned up." He exclaims that "the heavens will be destroyed by burning, and the elements will melt with intense heat (2 Pet 3:10-12)!" While, the apostle John does not distinguish which heaven passed away, it is the first heaven, the atmosphere around earth, because there is no longer "any night" nor "light of the sun" (Rev 22:5). Just as he was shown the judgment of Babylon, the apostle was accompanied by one of the seven angels who had the seven bowls full of the seven last plagues. This angel "carried" the apostle "in the Spirit" to a great and high mountain on the new earth (Rev 21:9) from which he observed the new Jerusalem coming down out of heaven from God (Rev 21:2, 10). In the Old Testament, the tabernacle was a portable tent that was divided into two rooms, the Holy Place and the Holies of Holy. Known as the "tent of meeting," the tabernacle was recognized as the meeting place between God and the His people (Ex 40:34-35); however, in practice, God met with only the High Priest in the Holy of Holies once a year on the Day of Atonement (Heb 9:7). When Solomon's Temple was built, the Holy of Holies had the dimensions of a cube: 30 feet x 30 feet x 30 feet (1 Kings 6:20). Whereas a thick curtain separated the Holy of Holies from the adjacent room the Holy Place to maintain its sanctity in the Old Testament, the Temple of God in heaven does not have any curtain separating the Believer's spirit from the presence of God – God spreads His tabernacle over all of them (Rev 7:15). Just as in the Temple of God in heaven, where spirit beings of the saints were in the presence of God, the tabernacle of God will be in the new Jerusalem so that God can be among resurrected Believers and without any curtain separating the holy God from all of His holy people. With all of the enemies of Jesus gone, including death, Jesus' kingdom is handed back to God His Father (1 Cor 15:20-28). The description of the new Jerusalem is breathtaking. The city itself is laid out as a square cube; its width, length, and height measures about 1400 - 1500 miles (Rev 21:15). It was made of pure gold like clear glass (Rev 21:18), and its streets were pure gold like transparent glass (Rev 21:21). Each wall running along the length of the city east, north, south, and west, had three gates (Rev 21:13). Each gate represented a tribe of Israel, and at each gate stood an angel (Rev 21:12). Adorned with a single pearl, each gate was forever open (Rev 21:21, 25). Supporting the city wall were twelve foundation stones each representing one of the twelve apostles (Rev 21:14), and each stone was composed of a precious stone: 1) jasper, 2) sapphire, 3) chalcedony, 4) emerald, 5) sardonyx, 6) sardius, 7) chrysolite, 8) beryl, 9) topaz, 10) chrysoprase, 11) jacinth and 12) amethyst (Rev 21:19-20). There is no temple in the new Jerusalem! God and His Son are effectively the temple (Rev 21:22). The glory of God powers the lamp of His Son and illuminates the city (Rev 21:23; 22:5). It is significant that there is no temple in the new Jerusalem; the new Jerusalem is the heavenly Holy of Holies. It is shaped as a cube. It is constructed with the finest materials and craftsmanship. It is the place where Believers are in God's presence, and as glorified Believers, see His face (Rev 22:4). Glorified Believers, with God's name written on their foreheads (Rev 22:4), bear a similarity to the sealed bond servants of God (Rev 7:1-8; 14:1-5). It is in this context of God's glory adorning both new Jerusalem and the Believer that the apostle John introduces the "new Jerusalem, coming down out of heaven from God, made ready as a bride adorned for her husband" (Rev 21:2). In the same context, one of the seven angels who had the seven bowls full of the seven last plagues presents to the apostle new Jerusalem as "the bride, the wife of the Lamb" (Rev 21:9). Just as the church represented the body of Believers betrothed to Christ (Eph 5:23), new Jerusalem represented the body of glorified Believers (John 14:2-3) now in the presence of God and His Son. This marriage motif, symbolizing divine agape love, is complete and fulfilled. With the creation of a new heaven and new earth, God restores Creation as it was originally intended and fulfills His covenant with Abraham. Previously corrupted, the created image of God is recovered and his relationship with God restored (Rev 21:3-7; 22:3-5; Gen 1:26-27; Rom 8:28-30). Glorified saints have access to the Tree of Life (Rev 22:2; Gen 3:22-24) and something never mentioned before, the Water of Life (Rev 21:6; 22:1, 17). Through Abraham and his descendants, specifically through Jesus Christ, the world will be blessed. Through David, this promise is elaborated to include a King from his royal lineage, who will have a kingdom that will endure forever (2 Sam 7:16; Ps 89:3-4; Luke 1:31-33), and from the line of David was Jesus Christ. Despite the failure of the nation of Israel to keep their promise of the Mosaic Covenant, God unilaterally makes a New Covenant, mediated through Jesus Christ (Jer 31:31-34; Ezek 36:25-28; Luke 22:20), and bestowing the Holy Spirit. 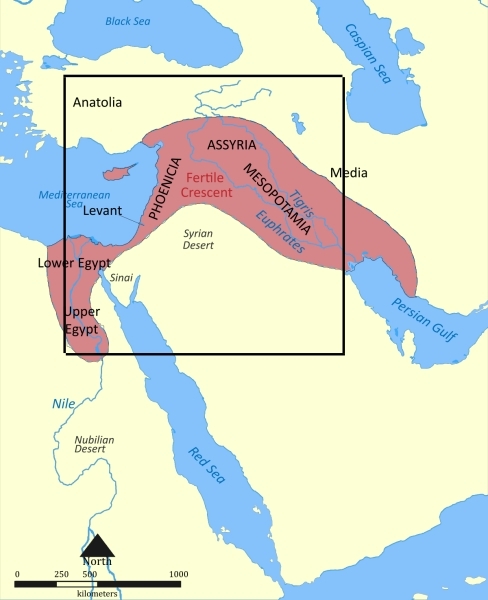 Abraham's descendants are promised land that extended from Egypt to include Jordan, Lebanon, Syria, western parts of Iraq and northern parts of Saudi Arabia (Gen 12:1, 7; 13:14-15, 17; 15:17-21; 17:8). God fulfills this promise of land with new Jerusalem. Although, new Jerusalem is a square, its area encompasses the entire land promised by God! "It nowhere lays claim to be regarded as the Word, the Way, the Truth. The Bible leads us to Jesus, the inexhaustible, the ever unfolding Revelation of God."